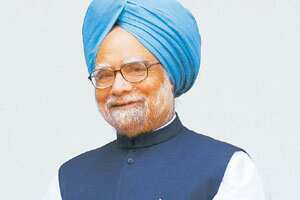 Stake sale: Prime Minister Manmohan Singh says a stock market listing would unlock the true value of a company. New Delhi: Many state-run firms are eager to list their shares on the stock market and it was good for them to do so, the Prime Minister said on Thursday, a sign that more stake sales were likely in the coming months. Prime Minister Manmohan Singh also said the government would grant more autonomy to state-run firms and allow them to raise capital so that they could expand operations faster. After Singh’s Congress party-led coalition government was re-elected in May, it looked to revive stake sales and has had successful issues of NHPC Ltd and Oil India Ltd in recent months. He said a listing would unlock the true value of a company, improve corporate governance and help a firm raise funds for expansion. In its July budget, the government said it planned to raise Rs1,120 crore from initial public offers of unlisted firms including railways subsidiary RITES, Cochin Shipyard, Telecommunications Consultants India and Manganese Ore India. In the past few months, ministers and officials have named firms such as NTPC Ltd, Bharat Heavy Electricals Ltd, Rural Electrification Corp., Shipping Corp of India Ltd and Coal India Ltd as candidates for stake sales.